We live in an era in which science and technology is rapidly changing our world. Universities need to equip their graduates with the skills and expertise to seize this dynamic future. 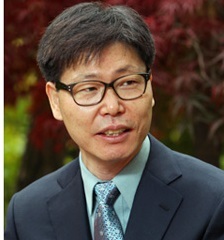 Seoul National University established the College of Liberal Studies as part of its long-term development plan in 2009 to pioneer such a new vision of undergraduate education. The College of Liberal Studies aims to cultivate in our students the flexibility and versatility to cross disciplinary boundaries. It seeks to identify each individual student’s strength, allow them to construct a curriculum that fits their needs and interests, and support their active learning and combining of various disciplines. Furthermore, the faculty and students collaborate in advancing both teaching and learning. Students at the College of Liberal Studies are encouraged to traverse the arts and sciences, to design their own majors, and to discover their own goals. By engaging in class discussions with students majoring in different disciplines with diverse backgrounds, students gain the capacity to respect others and collaborate with each other. By exploring and experiencing the world abroad first-hand, students acquire the perspective necessary for the globalized world. The unique curriculum as well as the various extra-curricular programs offered by the college develops both the intellectual capacities and civic character of the students. The College of Liberal Studies currently has about 950 students enrolled and over 640 alumni, many who have advanced to graduate schools and are pursuing careers in numerous fields. We are proud that our graduates are contributing to their local communities and the wider world as pioneers and innovators. Seoul National University is committed to raising the next generation of leaders by implementing innovation in all sectors of higher education. Based on its experience of the last 10 years, the College of Liberal Studies is confident in its mission of realizing this new vision of undergraduate education and preparing students to embrace the unchartered future. Copyright ⓒ 2016 College of Liberal Studies, SNU. All rights reserved.